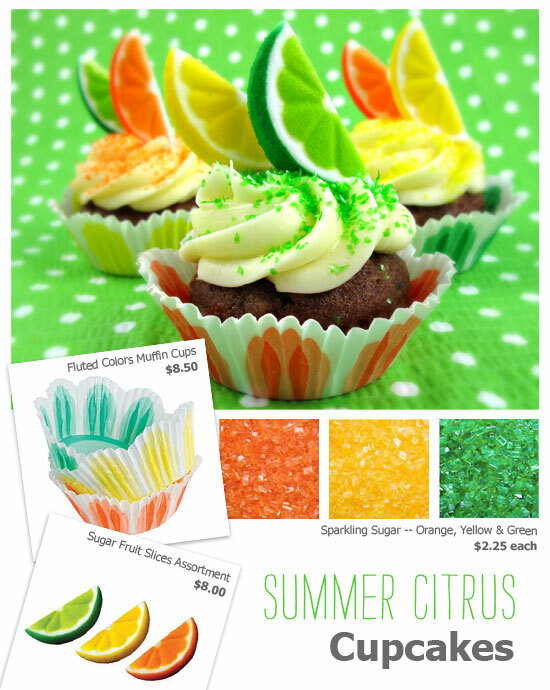 Make adorable & vibrant citrus cupcakes this Summer! Perfect for any occasion! This entry was posted in All Things Baking, Baking Inspiration, Cupcake Recipes & Ideas, Instructions & How-To's, Summer Fun Baking and tagged citrus cupcakes, fluted cupcake liners, fruit cupcakes, sugar fruit slices by Fancy Flours. Bookmark the permalink. These are why I can’t say goodbye to Summer just yet!